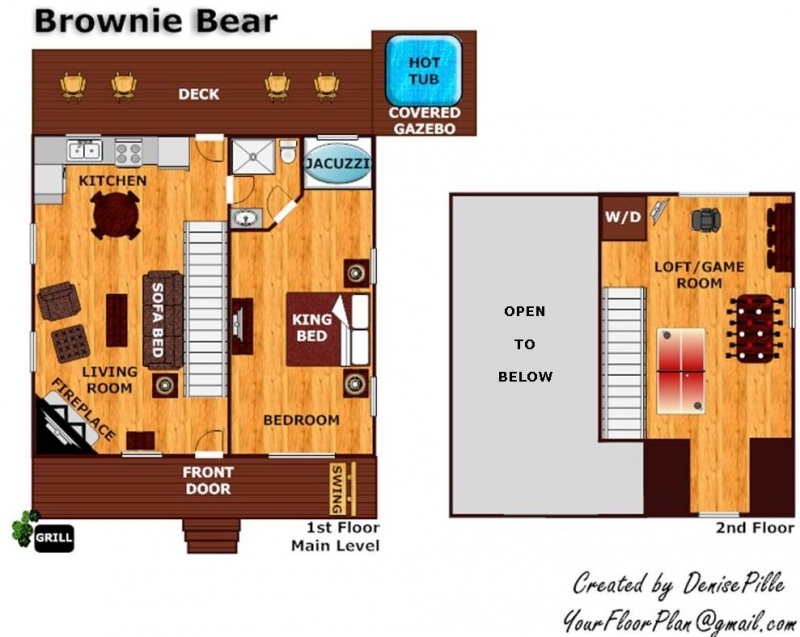 Welcome to BROWNIE BEAR, a brand new 1 BR Log Home that is perfect for HONEYMOONER'S and small families alike! No expense has been spared to offer the finest in luxury, activities and relaxation. Luxury encompasses the Log Pedestal bed with a premium mattress, the birch flooring, granite countertops and stainless appliances. Activities include LCD televisions, a KARAOKE Machine, Air Hockey, and fooseball table to challenge your friends and family! 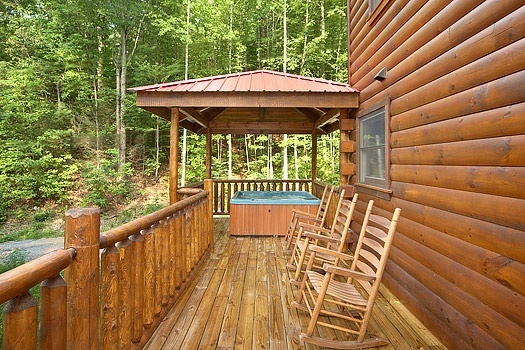 The Hot Tub has been thoughtfully placed on the extended back deck to assure the ULTIMATE RELAXATION soak your cares away! 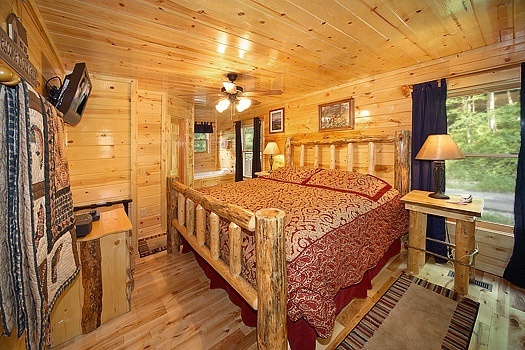 Or if you prefer, the romantic Jacuzzi tub for 2 next to the King Log Pedestal Bed, will provide hours of relaxing fun. If this sounds like the vacation you want, then book BROWNIE BEAR TODAY! We absolutely loved our stay at Brownie Bear! It was so relaxing and just what we wanted! Well definitely go back again!! Loved the cabin and the location! Super clean very quiet and peaceful! Brownie Bear was clean and everything was in good working order. My husband and I, along with our 15yo, had plenary of room and a great time. Diresctions were good, phone call system of check in was quick and simple. We will definitely use your company again. Tried to find a guest log, but how often do owners really read it? 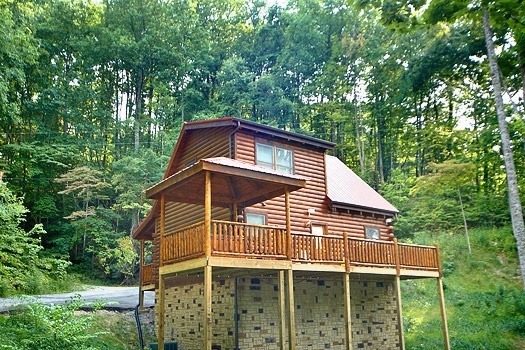 My wife and I live in the greater Cincinnati area and love to get away to cabin in the Smokies. Each season we take a long weekend to get away from it all. All puns intended, what asweet treat Brownie Bear has been. 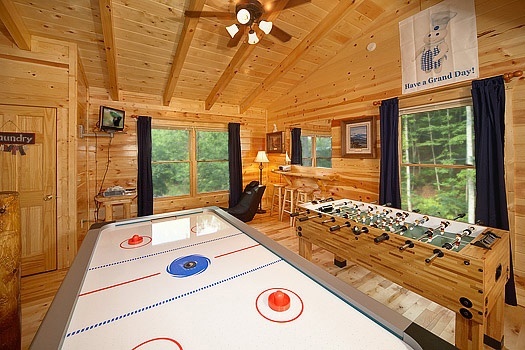 Aside from the seclusion and serenity of the surroundings, the cabin itself and the amenities provided are by far above and beyond our expectations. Clean, well appointed and luxurious given the rustic and bucolicsetting. I'm in the F&B business as well and can't really shuf off the attention to detail piece of my brain even when not working. 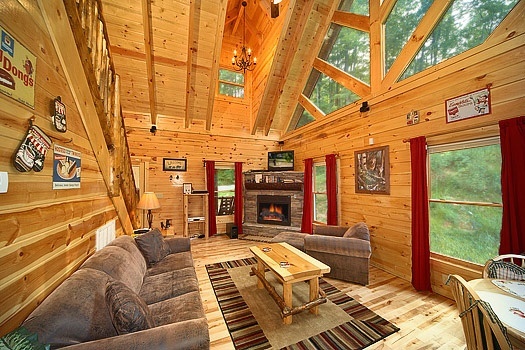 This cabin is amazing! My wife is very particular as well and keeps going on and on about what a perfect place for twothis is. Kudos to you for having such a lovely hideaway and cheers to the property management team for keeping it well maintained! We had a great time and look forward to coming back as we're expecting to bring our newborn next year. I was extremely impressed with the cleanliness of this cabin and how convenient everything was within the cabin! I will use Patriot Getaways again! It was great although we had to leave a day early, we really enjoyed our time there. 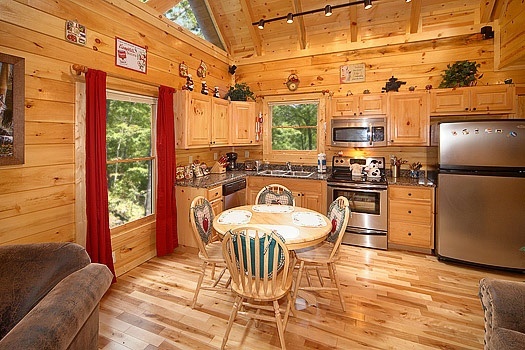 Beautifully appointed and well maintained cabin in an absolutely beautiful and tranquil setting! The cabin and its ameneties MORE than met our needs. We will return to Brownie Bear most definitely. 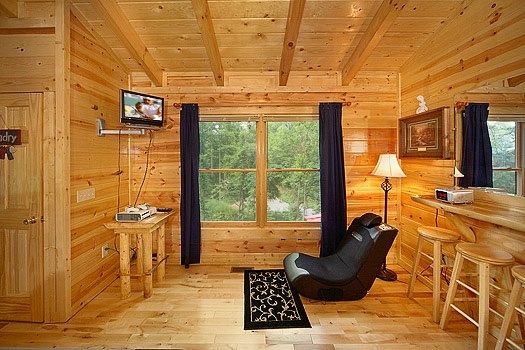 I have stayed in American Patriot cabins for five years now. I have never been disappointed. I wont use another resort. I tried a different resort one year and was given a cabin that was dirty and had recently been treated for bed bugs. It ruined the entire vacation, so I swear by your company and refuse to use another! 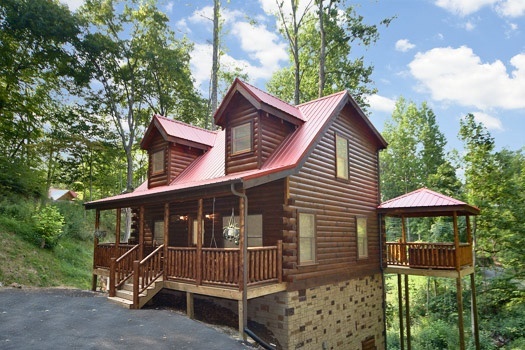 We absolutely loved our cabin and time in Gatlinburg!! We look forward to visiting again and have already recommended Patriot Getaways to our family and friends. Thank you!! Great relaxing time. No difficulty locating the property, the directions were easy to follow. 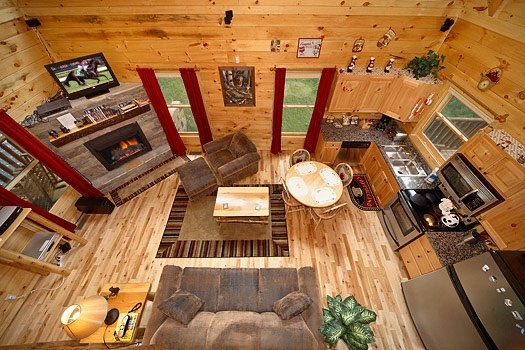 The cabin owners were amazing providing thier personal inforation and thier website for mor inforation on them. I enjoyed our stay and will use again, thanks so much for every effort made by your team of professionals. We had a great time at Brownie Bear - quiet, secluded & clean cabin. Exactly what we expected from website description. Gorgeous view, great cabin to stay in!